Some time ago I introduced “our map of reality” as a developing view of our life, and which we use to get around on the planet. This map is constantly being modified as we learn what works over time. Early in life we learn dualities such as yes-no, love-hate, trust and fear, my self or others. In school we have right-wrong, pass-fail, good-bad. Success or failure seems to be all about myself and individualism (mentioned early in my post list) in society seems to encourage us to develop an ego-mind, which can use the sympathetic nervous system to alert and alarm us of risks or danger, with emotions of fear, worry, disgust, disappointment. Thus, our happiness or sense of well-being is threatened. The ego-mind seems only alert to “problems” that impact our map of reality. Moreover, we have the experience of ourselves as separate, alone, and in a risky dualistic world. Yet, some authors suggest we develop the habit of “letting what ever is happening be OK,” all the while watching with curiosity. Nevertheless, the ego-mind cannot be happy with this, as a strategy. How do we outsmart our own ego-mind? First, we use “Witnessing” to rise above “what’s happening.” Thus, we learn to watch with curiosity. This is what Ken Wilber would call Transcending. Then, with laser precision and a quantum of energy, we send compassion, forgiveness and patience in the learning process, or to wave acknowledging another’s courtesy on the road. Sometimes ego-mind will prevail, it has had lots of practice with challenges but we don’t need to buy into the schoolyard fighting they call political debate, especially when indignation leads to a loss of dignity as a member of the Human family. Happy Transcending! Great post, Paul, and great discussion with Anthony. I’m in accordance with everything shared. In addition, I’ll chime in with a suggestion of another way of looking at & remembering the value of “forgiveness”. When we’re “about giving”, we’re “for-giveness”. When we slip into “about getting” modes, we’re “for-getting”. A simple & vivid way to remember & appreciate the different directions these two paradigms lead and the distinct nature of results/outcomes that ensue. By being “about giving” we align with our authentically divine nature as co-creative beings. 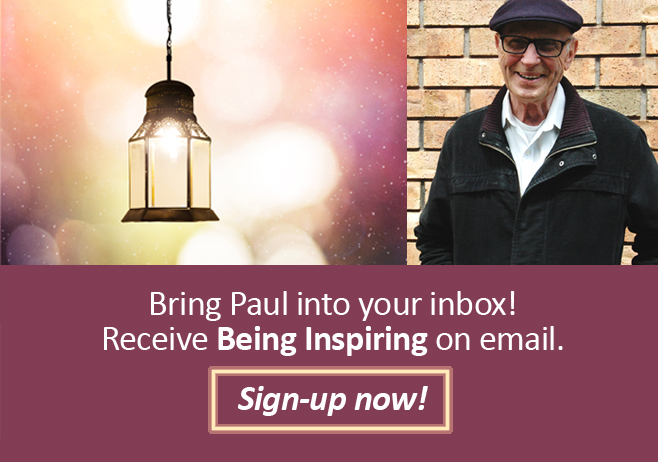 By being “about getting” we slip into the ‘I’/’Other’ ego-mode Paul so eloquently points to & describes in this post (i.e., I like the “schoolyard fighting” metaphor” : )). Thanks Anthony, I am certain that forgiveness would never imply condoning. For me, forgiveness and self-forgiveness implies compassion for a mistake of lost consciousness that we are all created by a Loving omnipresent God, in his image and likeness for His purposes. This would include caring for one another like family and for the planet where we live. This is the basis of my earlier remark that “we are all spiritual beings, having a physical experience of life on Earth. This may seem ridiculous to the ego-mind, which has his own self-centred agenda, seeing the self as separate from others, who are more or less dangerous. Thus, corrective or even punitive emotions or actions seem justified in an apparent “dog eat dog” society. So, as our friend Bill would ask: “Why fight fire with fire when the Fire Department uses water?” I find, these days, I need a lot of self-forgiveness is necessary, as some bad habits die hard! Paul, thank you for this post. I agree that forgiveness, and especially self-forgiveness, are essential to leaving the past behind in order to come fully into the present moment, where life’s magic is happening. I’ve read – as you probably have – that to forgive does not mean to condone. It’s rather a letting go of the hold someone or some event has on your heart and mind. I would love to hear your perspective on this. Previous Previous post: Spiritual Beings are Already Inspired!